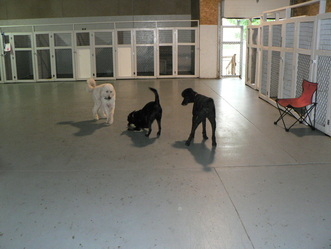 Circle Kennel club boasts larger than average kennels. At a average of 4 x 8 your pet will not feel confined. 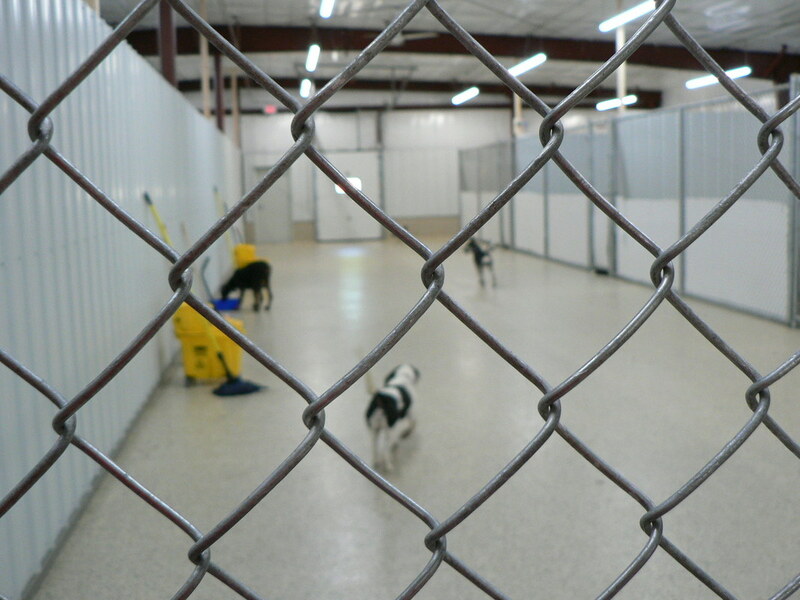 All dogs kennels located on one side of the kennel area, and the play areas are on the other side. We know that your pets are a valued part of your family, and that leaving them in the hands of strangers can sometimes be tough to do. Circle Kennel Club aims to make your process of finding a local pet boarding facility quick and painless, while still leaving you with the peace of mind that your pet is in good hands while you're away. 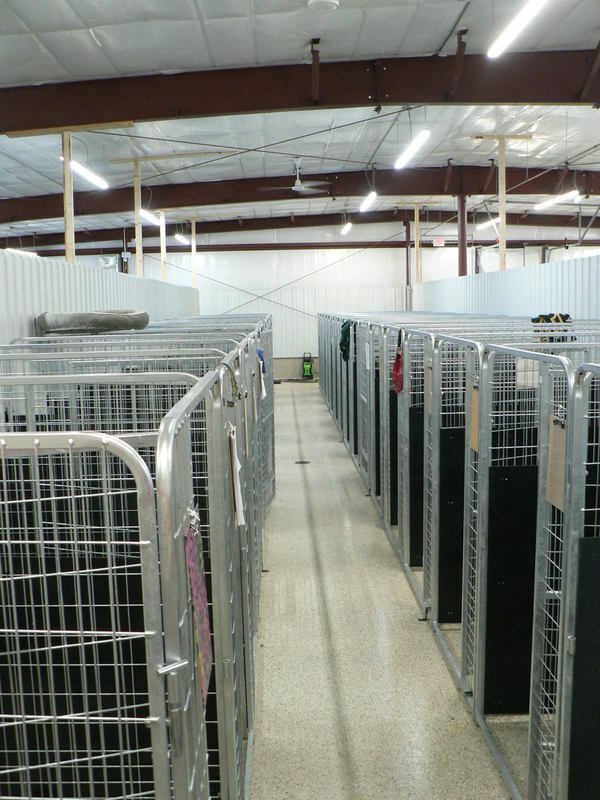 Whether you're in the market for a basic indoor kennel or a luxury pet hotel, we have you covered. Now you can spend your vacation while your dog is enjoying his or her own little getaway. add $12.00 for each additional dog above 3. Need care for extended stay (multiple weeks or months)? Call for special rates. "All dogs including those that don't participate in free play are let out of there kennels at regular internals to relieve themselves." Free play starts at 6:30AM and ends at 7:00 PM weekdays and 8am to 5pm weekends. 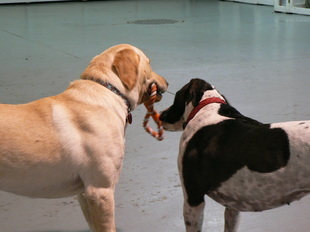 Again compare and you will see, we offer more free play than most if not all boarding facilities. Some may only give your dog a few minutes and charge more. simply intergrate your dog slowly to avoid over stimulation. Our pick up time is before 12:00. Many places charge a entire day if you don't make it by noon. 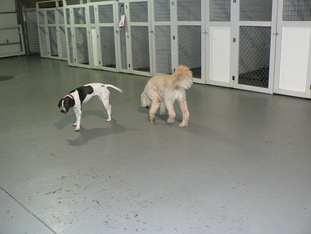 Not at Circle Kennel. If you are running late we understand and don't want to gouge you. 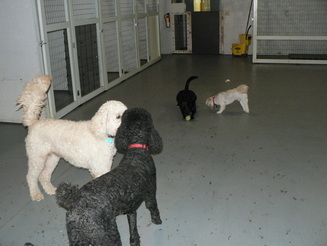 After 12:00 the charge is a additional $11.00 (multiple dog discount). Specials and discounts can be added in for extended stay periods. (Be sure to sign up for quick notification of new specials!) We run these promotions at different times during the year. Your encouraged to bring your dogs own food. It is better for their diet and less likely they will have a stomach ache. If you can't or forget we have you covered. A reasonable charge of $1.00 per day will be applied if your dog eats our food. You may bring items from home. Many people bring in a blanket from home. The scent of the blanket makes them feel more at home. You may also bring in dog treats and or toys your pooch likes.